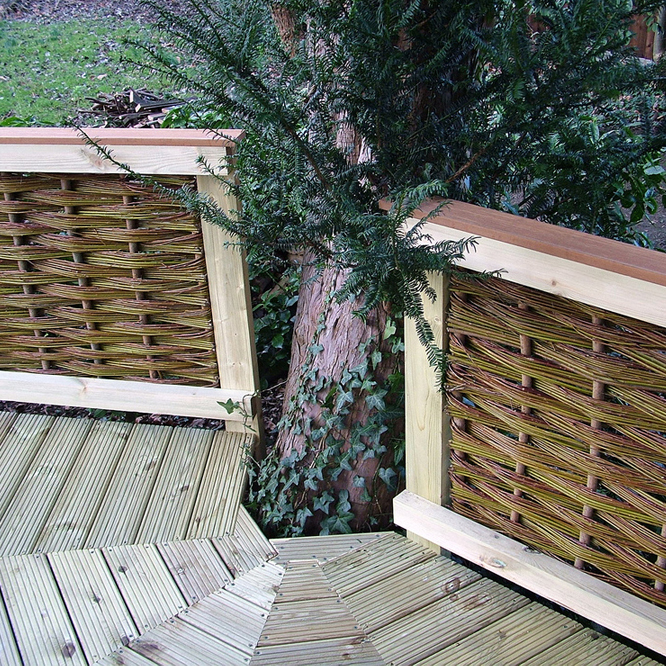 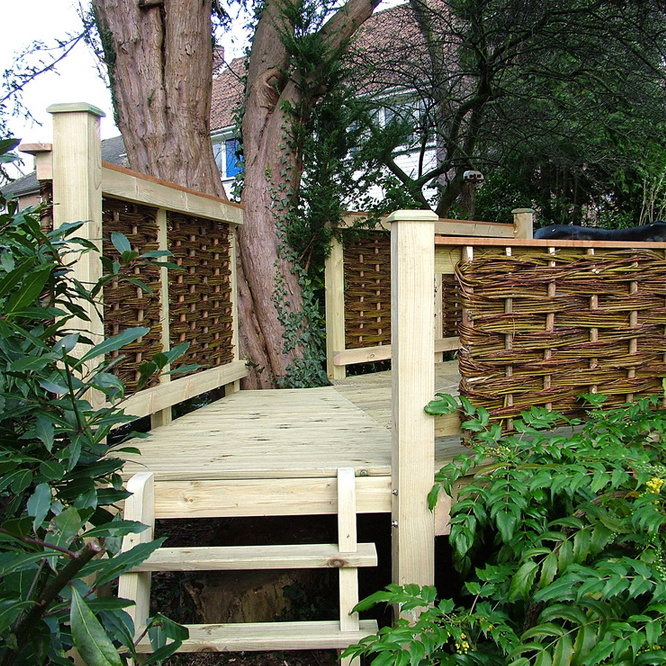 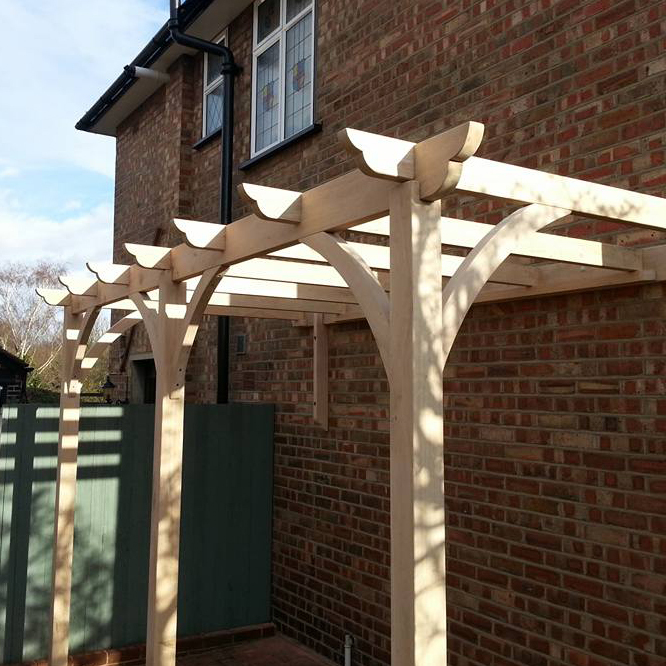 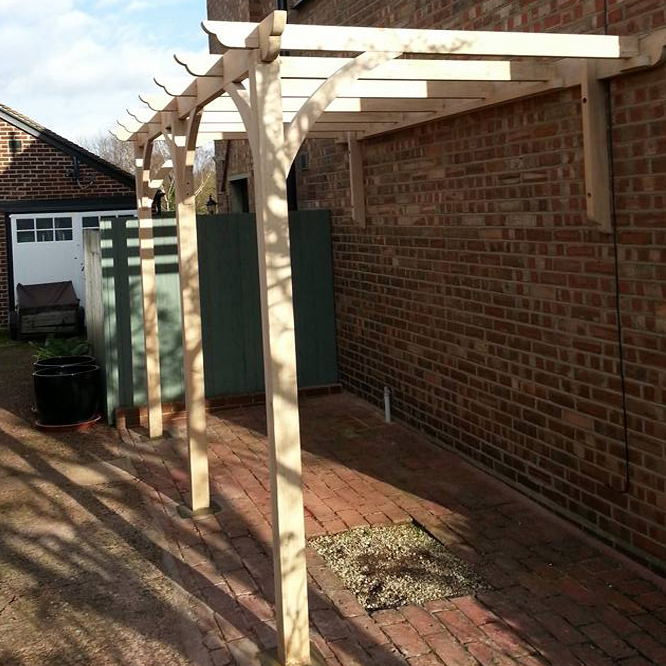 At Treesaurus we design and make a variety of bespoke garden structures; garden offices, special decks and pergolas. 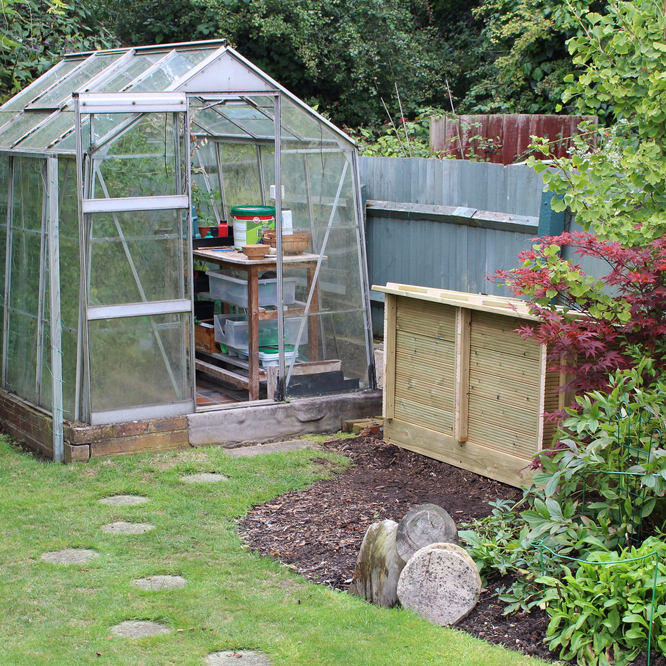 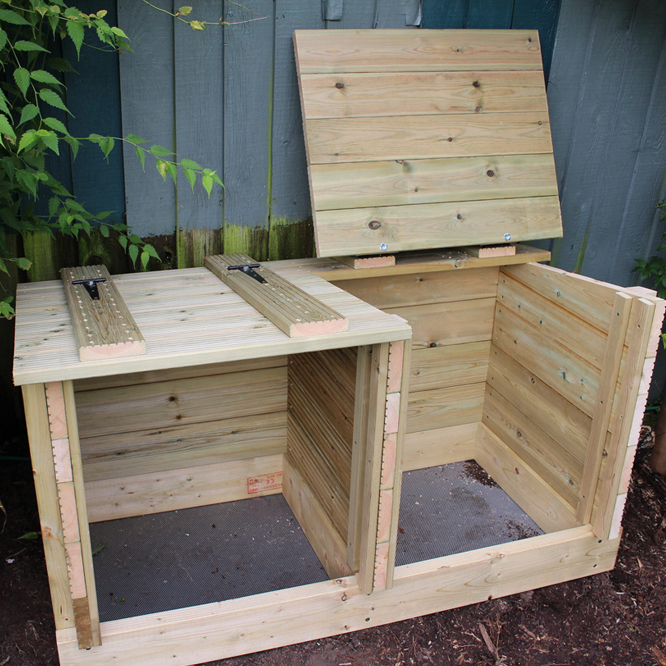 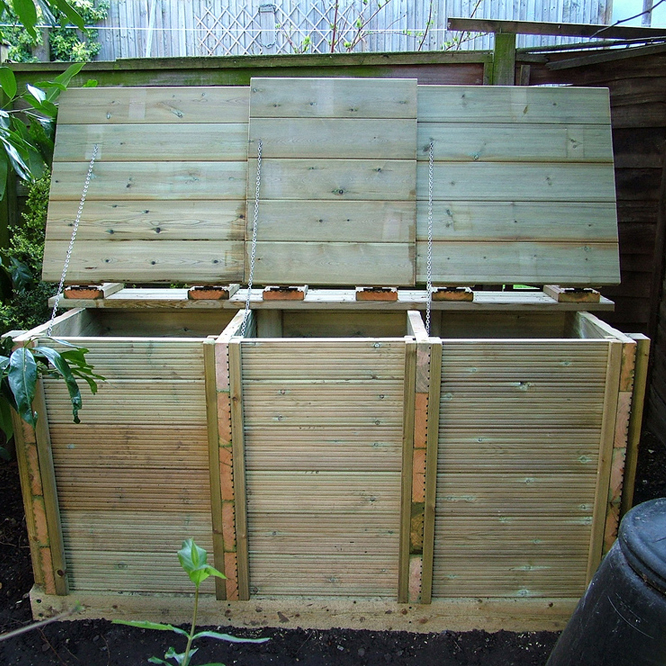 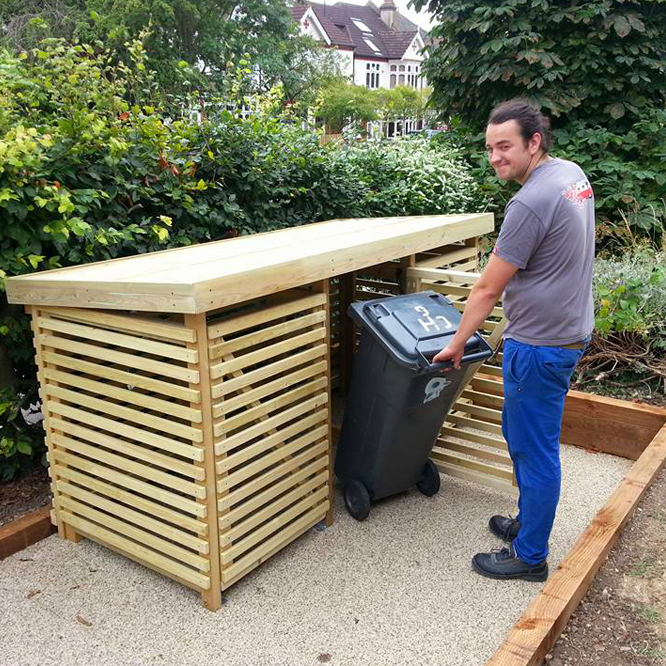 Our highly practical garden compost bins are made from treated softwood. 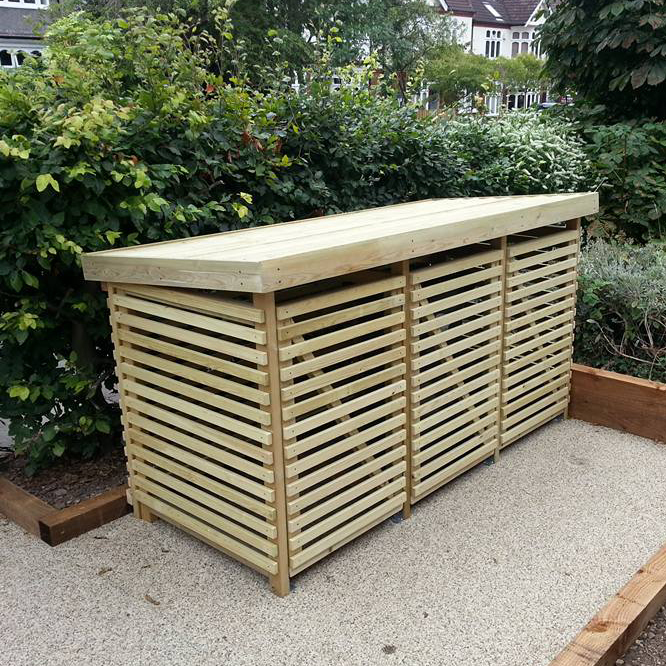 They can be specifically tailored to suit the size of your garden and are therefore equally suitable for both large and small plots. 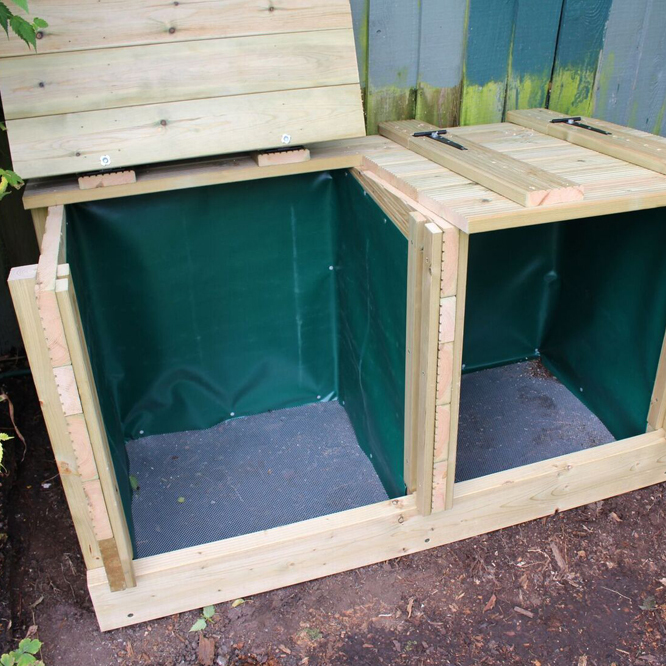 Featuring hinged lids and removable slatted fronts, they make it very easy to toss composting material and remove composted soil. 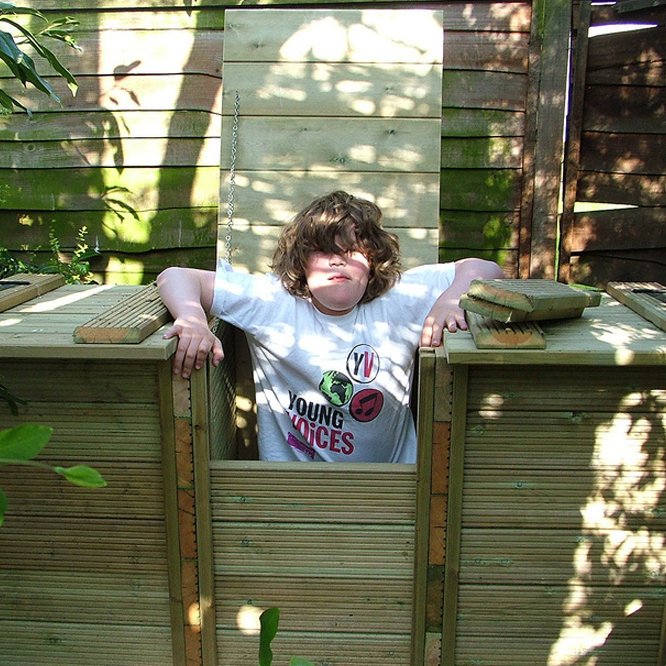 And if the idea of composting sounds a little too arduous, they also make excellent dens for children! 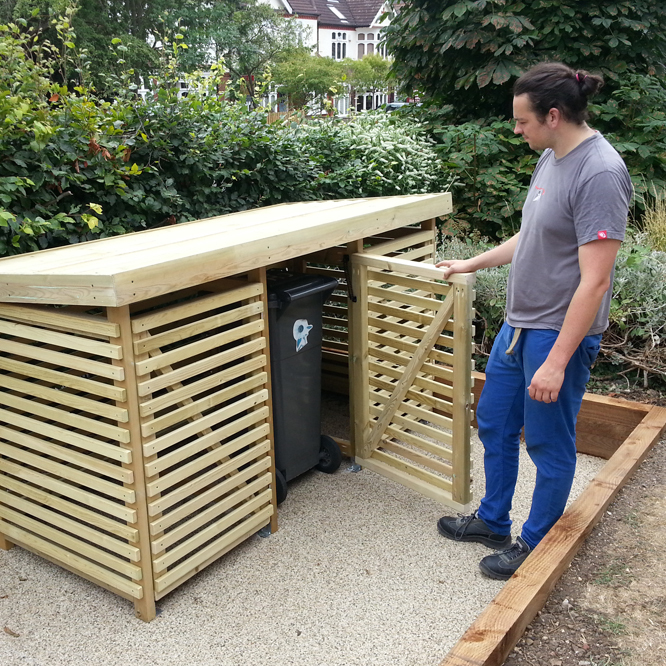 Designed to store wheelie-bins up to 360ltr, single, double or triple storage units with sprung doors can be supplied. 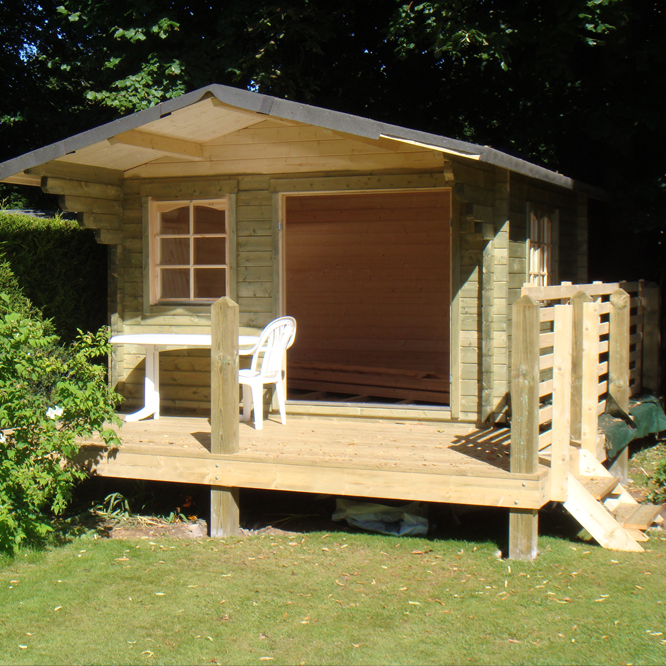 A variety of cladding and roofing options are available.